Detectives investigating the collision are appealing for witnesses to come forward. 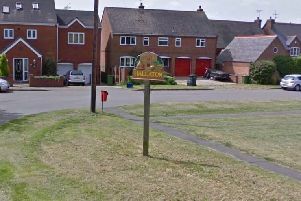 The incident happened just after 11.25am on Saturday, March 23, on the B6047 Melton Road, Shangton, and involved a Kawasaki motorcycle and a green DAF lorry. Police said that the motorcycle rider, a man in his 40s, was taken to the University Hospital Coventry with serious injuries. He remains in hospital where his condition has been described as critical but stable. No one else was injured. Anyone who witnessed the collision or saw either vehicle beforehand is asked to contact the police. Officers would also like to speak to anyone who may have either captured footage of the collision or recorded the vehicles before the incident took place on dashcam equipment. Anyone with any information is asked to contact DC 1299 John Borlase on 101, quoting incident number 228 of 23 March.